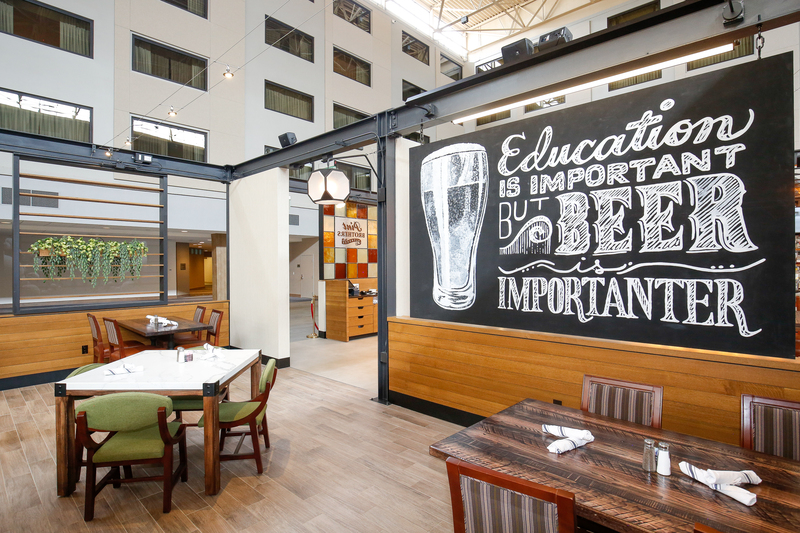 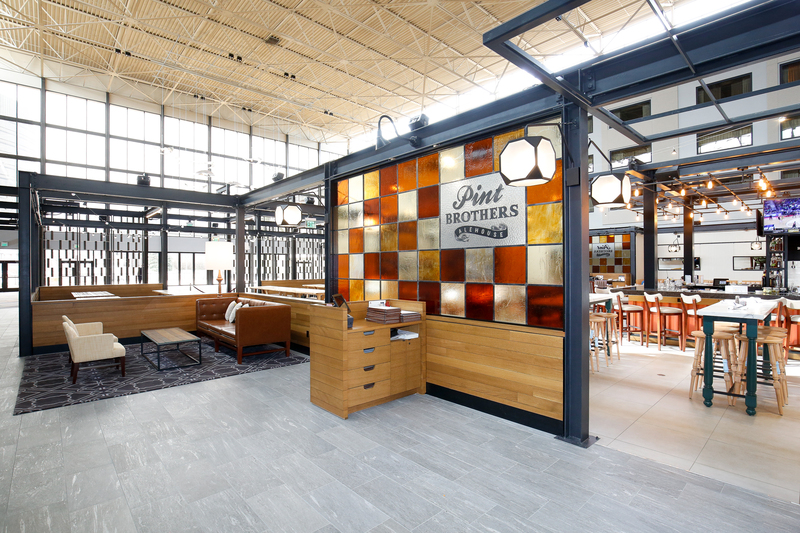 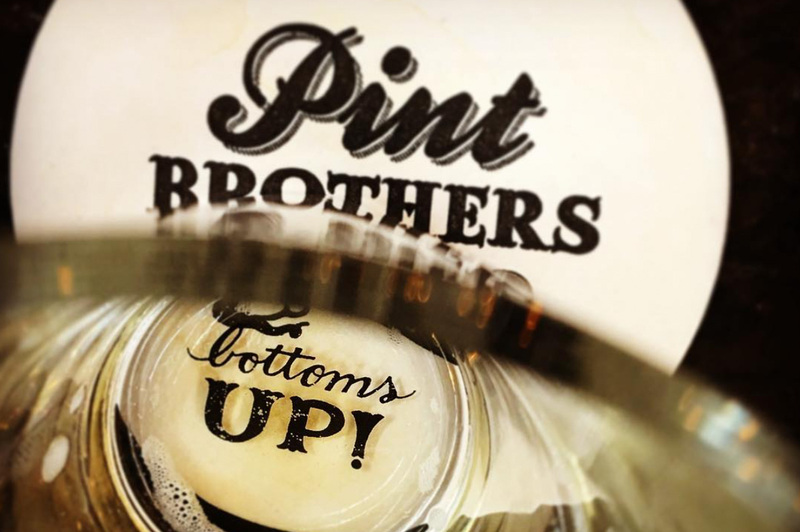 Now open at the Denver Marriott Tech Center is my newest branding design, Pint Brothers Alehouse. 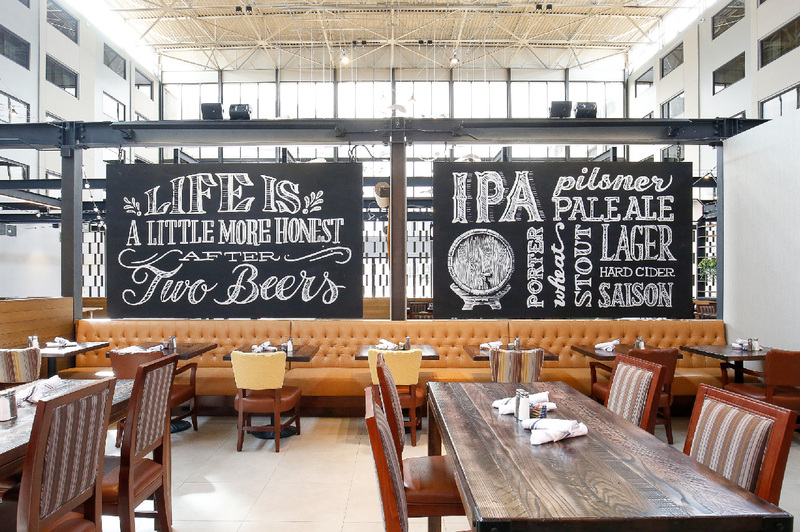 A fun, friendly, delicious new American style restaurant with a passion for craft beers. 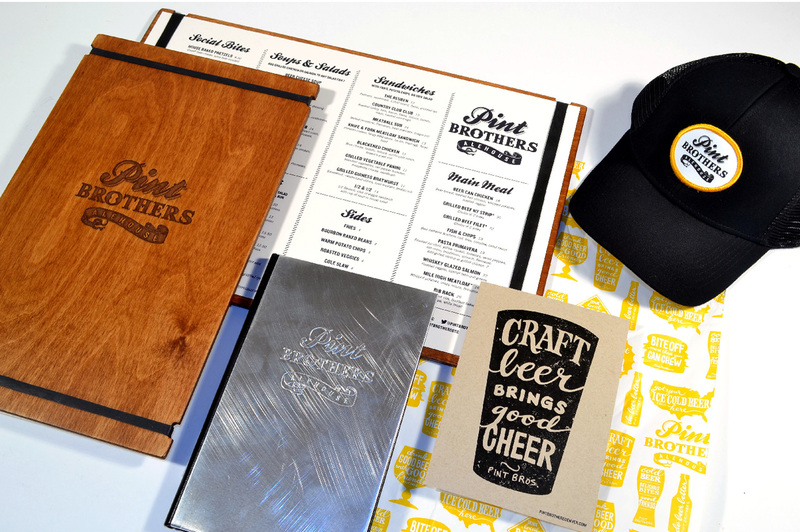 I had so much fun bringing this brand to life illustrating playful beer catchphrases and designing a glass signage storefront and chalkboard murals, as well as wood-burned menus and a cocktail book that mimics the metal of a beer keg. 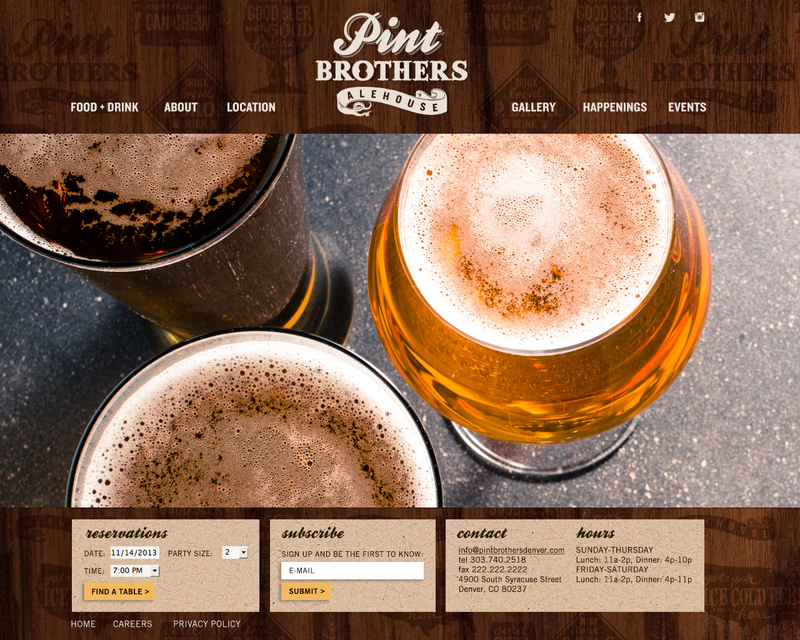 Take a peek and try not to want a nice, cold beer.